You might think human resources is so ubiquitous and essential that there couldn’t possibly have been a time when industry managed without it. You’d be wrong. The world managed to get through an agricultural and an industrial revolution without HR becoming, in today’s parlance, “a thing”. Looking at the successes and giant leaps that were accomplished during those might make a few industrialists wonder if all that investment in HR has been strictly necessary. But let’s not forget that the world was a very different place back then. It was dominated by monarchies and empires, not democratically elected and accountable governments. Technological revolutions tend to come about through individual inventions, not workforce models. And employment rights have generally been moving in workers’ favour since the middle of the twentieth century, which has increased the need for a layer of management between owners and employees. Throughout the Industrial Revolution (which took place roughly between 1760 and 1820) workers as a collective group were of course vital, but individually they were expendable. There would always be a willing person to take the place of a dismissed worker; this led to the enormous population migration from rural to urban environments that built many modern towns and cities in the industrialised world. On the flip side, in the absence of a welfare state, workers would work long hours and keep their noses clean to avoid poverty and dismissal, often in conditions that would today be considered inhuman. On balance the system functioned, albeit in often wretched working conditions. So what sparked the need for human resources to become, at appreciable expense, a vital part of the modern workplace? 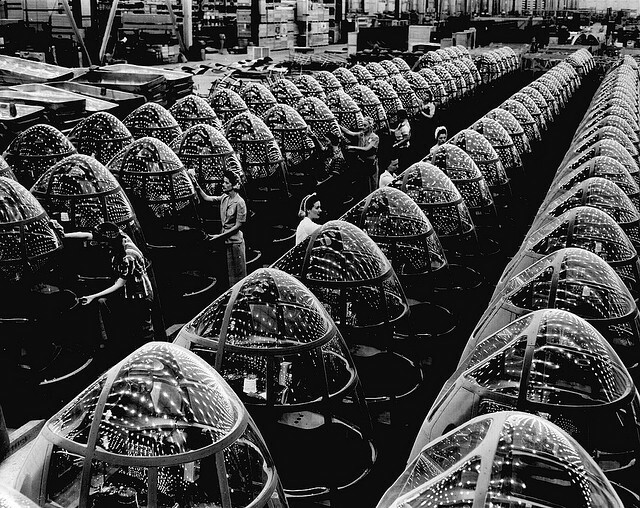 In part, it was World War One, which oversaw a huge change in the demographics of the industrial workplace as women entered the factories to perform the jobs that had been vacated by the males being sent to the Front, as well being responsible for much of the new industry that was producing everything required by the modern army, from bullets to uniforms. For a start, the mass introduction of a new workforce needed careful management, unlike the drip-drip of recruitment and dismissal that typified the existing means of staff management. Traditionally apprentices would have shadowed experienced workers as they built up their skill sets and eventually became independent workers themselves. This model required minimal management. But once large numbers started arriving, they would need organizing and training in a more regimented, overseen manner. This is the point at which we can consider the birth of the sector that is now known as human resources. There were also issues with men and the powerful unions that represented them. Many of them saw the introduction of women into heavy industry as a threat to their livelihoods once the war was over, and pressure was put on government and employers to ensure their jobs would remain available when they returned to work. The fact that they could pay women less was not lost on the employers, but in the end the might of the unions brought some kind of agreement, albeit one that would lead to decades of inequality, the shockwaves of which the modern workplace can still witness. After World War One, the workforce returned to their jobs and the munitions industries went back to peacetime levels, and a slump came along that would return the plight of the working person to one almost similar to that which prevailed during the Industrial Revolution. In 1926 there was a general strike and in 1933 unemployment reached 3 million – 20 per cent of the working population. During this time, it once again became difficult for workers to push for better conditions, and apart from a handful of improvements, little changed in the law. However, companies largely retained the personnel staff, or at least the departments, after the war. It made sense to continue having some employees dedicated to the day-to-day management of the workforce. During World War Two, conscription was once again imposed and again the nation’s women, who had by now achieved a slightly elevated place in the manual workforce, were called upon to work the factories and fields, and once again the efficiency of the well-run personnel department paid dividends. But it was after the war that HR started to be taken seriously as a distinct discipline in itself. The post-war period saw the possibly most severe societal changes in human history. For a start, Britain and much of Europe needed rebuilding. For all the destruction of World War One, there was nothing to compare to the bombing of the British and German cities. For decades after WW2 there was full employment and a great demand for labour. Workers could flex their muscles and employers needed to manage things more sensitively. Discrimination based on gender, race, disability, sexuality or religion would eventually become criminal offences. Personnel departments became the first line of defence against accusations, at times taking on a quasi-legal role, ensuring that no discrimination was taking place, as lawsuits could be expensive. Their role in health and safety, training, recruitment and discipline similarly increased. The positive results were that experts in the business would be able to focus on their core competencies and legal fees could be lessened, although maintaining a personnel department and keeping it au fait with changes in legislation could be costly. In the 1960s and 70s, employers began in greater numbers to realise that there was a positive payoff in treating staff fairly and including them in certain aspects of decision-making. Ongoing training, it was reasoned, helped retain staff, as did perks and benefits and taking some steps to improve work/life balance. Clearly, this would be a job for personnel departments, and although much of this more liberal mindset remained theoretical for large percentages of the workforce, the seeds had been planted for the societal changes that would eventually lead to changes in legislation. It was not until the 1980s that the term “human resources” became commonly understood. Whereas “personnel” probably describes a workforce adequately, accepting the “human” and the “resource” banners shows an acknowledgement of the humanity and the value of a group of employees. It was as though a lightbulb had been switched on: these workers are actually valuable assets that can be nurtured, developed and encouraged to be loyal, bringing untold benefits to employer and employee alike. Nowadays, all employers have some sort of HR representation. This is partly down to a requirement to stay within the law in all matters of employment, but also because it’s an efficient way to manage the valuable assets that are the employees. Large organisations tend to have in-house HR departments, but HR is now such a distinct and specialist role that there are companies like our parent company Peninsula Business Services that exist solely to provide HR and legal backup to employers that cannot justify an in-house team. Human resources went from being non-existent to essential in the space of thirty years, albeit with the help of humans’ more confrontational instincts. It has now split off into its own entity, and looks like it’s here to stay.